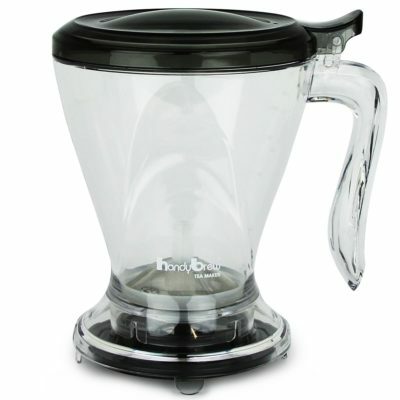 A free standing, one cup filter with a patented valve for drawing down your coffee after it’s brewed. 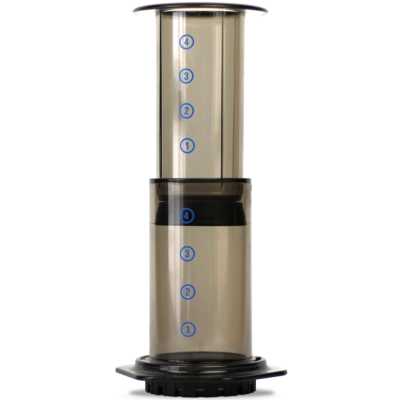 The Clever Coffee Dripper is a free standing, one cup filter with one very important addition — a patented valve that keeps your brew from drawing down until you activate it by sitting it on a cup. What’s so good about that? 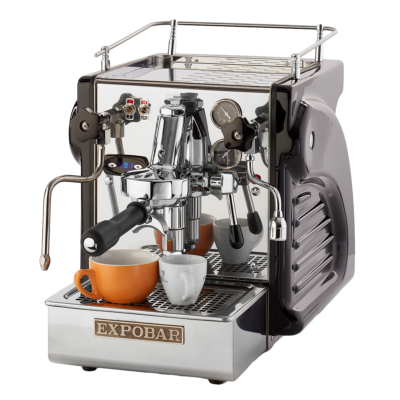 Well, the way the valve works means that you can control all the variables of your brew independently of each other. 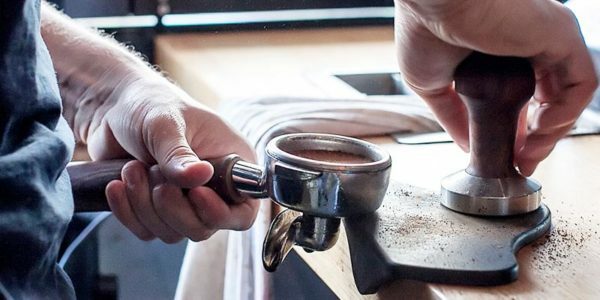 No matter which brewing method you’re using, it always comes down to the same variables — grind size, the amount of coffee you dose, water weight, water temperature and the amount of time that the water and coffee are in contact. 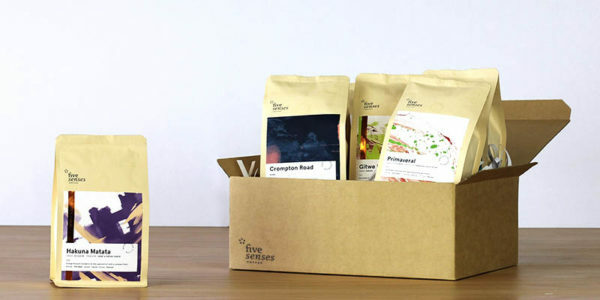 Please be aware that you will need Size #4 Filter Papers for brewing on your Clever Coffee Dripper. 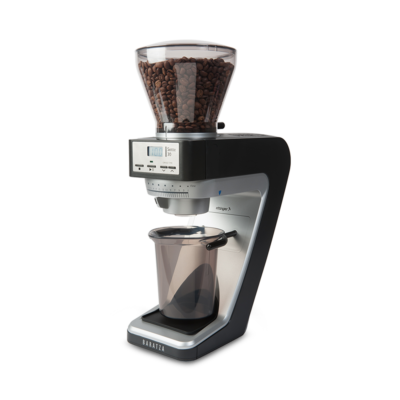 For more information on the CCD and a downloadable brew guide, check out: The Clever Coffee Dripper brew guide. Sizing: this is the larger ~500ml capacity CCD. Insert filter paper into CCD. Grind 15g of coffee at a medium coarseness (18-22 on a Baratza grinder). 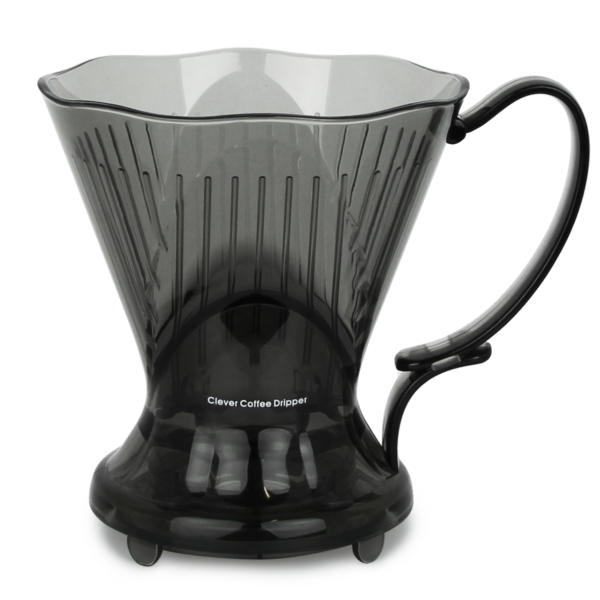 Place CCD with pre-wet filter paper on the scale, add ground coffee and tare the weight. 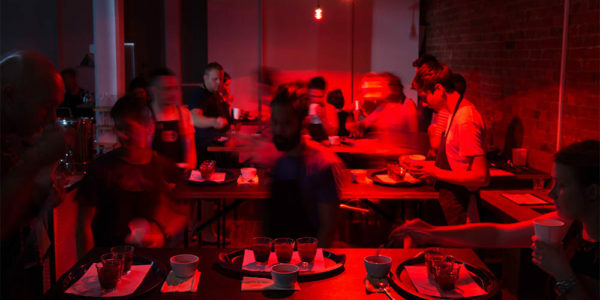 Pour 50g of 94°C brewing water over the first 15 seconds. 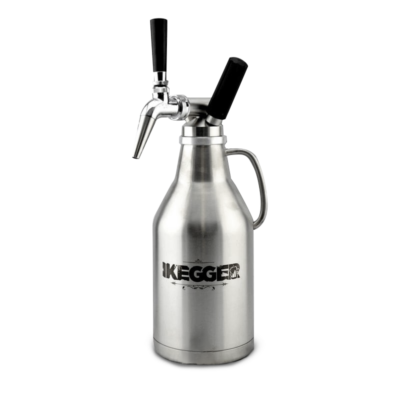 This allows the grinds to release the gas they contain and makes it easier to integrate them in to the brew while pouring. 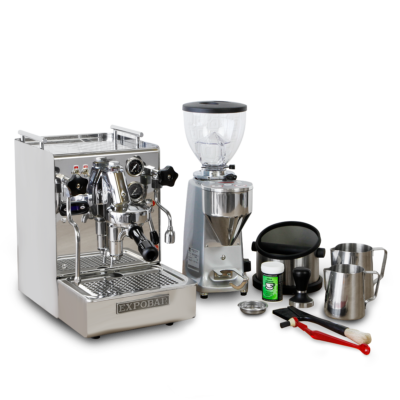 Wait 15 seconds before pouring another 200g of brewing water over 15 seconds (during 0:30-1:00) in a steady circular motion. At 2:15, drain into a carafe or pot. After all liquid has dispensed, discard the used filter paper and rinse CCD.